We are back with an amazing and powerful template to create some hard hitting madness in your studio. Are you in need for some learning resources to help you learn, create and grow as a music producer? The ‘Extreme’ template provides you with all the essential tools to help you create massive Hardstyle tracks just like your favorite artists. A collection of Audio Files, Presets and MIDI inspired by the electrifying sounds of artists such as Yellowclaw, Headhunterz, Showtek and loads more. 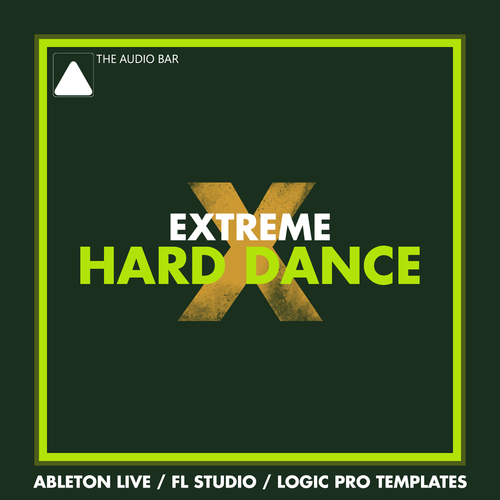 EXTREME includes some spooky vocals to add that pro-quality to create full and thick Hardstyle tracks that will rock dance floors and festivals across the glove. Covering all the key areas from Bass Hits and Loops to Synth Loops and Drum Hits all the way to FX, MIDI and Presets. Extreme’s samples are 100% royalty free and all 24bit WAV.